Marcon Place E8 will be the next Pocket building to welcome residents – 28 city makers will be moving into their very first homes, just a stone’s throw from Hackney Downs station, within the next couple of months. We’re in the final throes of construction, and the Pocket team went to check on progress last week. 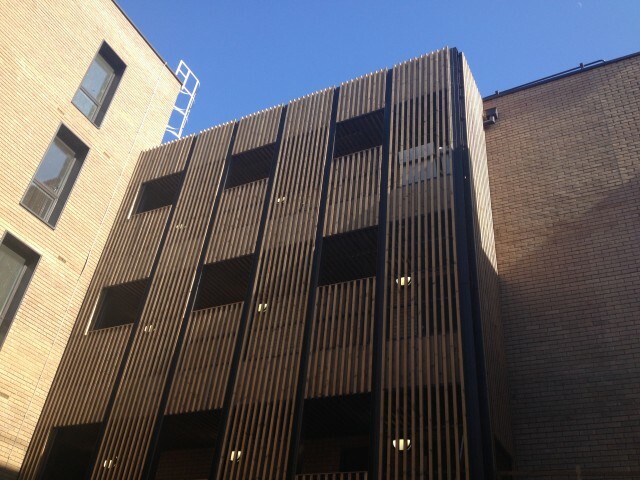 This handsome brick building is looking really good, especially in the Spring sunshine! It was amazing to stand in the courtyard and imagine the activity this central communal outdoor space will be seeing over the years to come. 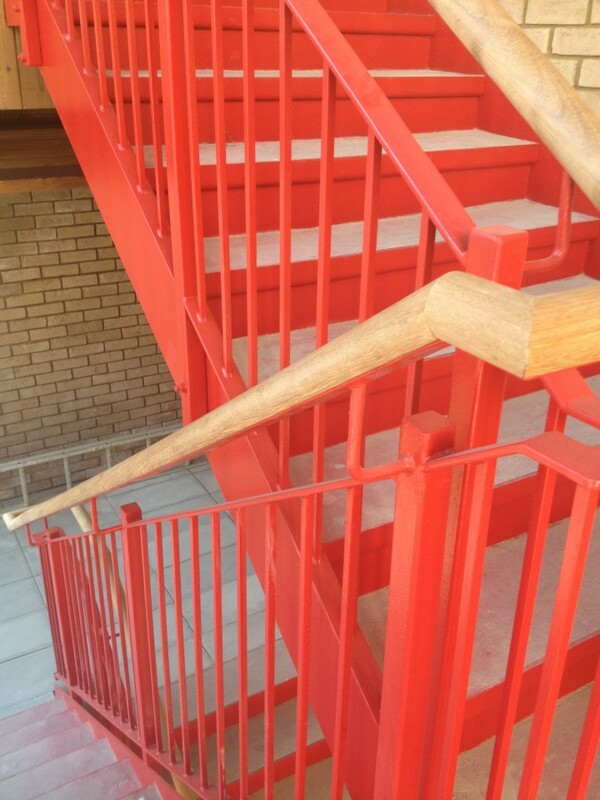 The external stairwells have a striking red paint finish, with lovely tactile timber hand rails, and there’s specially-designed timber slatting to allow views into the courtyard. We’re introducing the residents to each other this week at a local wine bar, and now all we need is a move in date! The last few weeks of a construction project are always tight and slightly stressful as we try to achieve all the sign-offs and checks to confirm that the building is ready for occupation, and manage the expectations and excitement of the buyers. Not long to go now, Pocket people! At Pocket, we’re proud to be a business that straddles the public and private sectors. This is a pretty unusual position for a property developer, but for a property developer that focuses solely on the intermediate market, it’s an obvious position to take. It means we work a lot with Local Authorities, and we talk to lots of private institutions about collaborating on projects and to raise money. But one institution we hadn’t spoken to before last week, was the British Monarchy. It hadn’t really occurred to us, despite the interest that certain members have traditionally shown in the built environment. 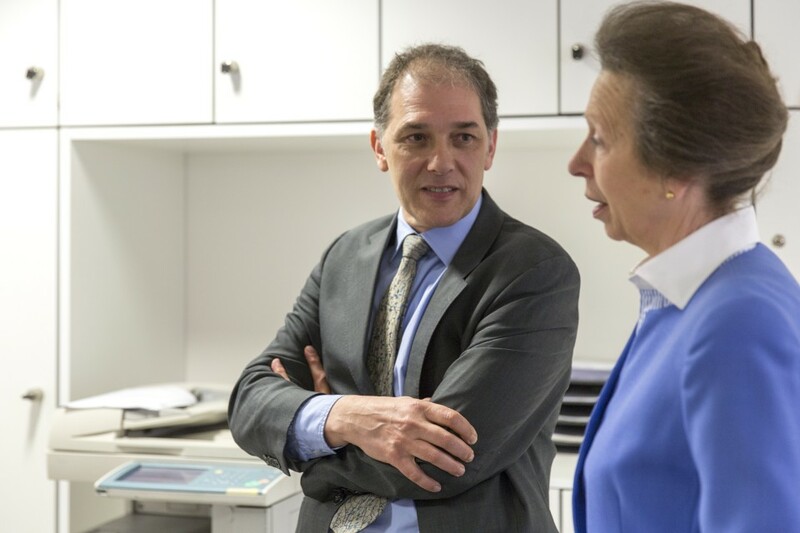 So when we were contacted by the office of HRH Princess Anne, we weren’t quite sure what to expect. HRH is President of CSCLeaders, a global leadership programme for 100 exceptional senior leaders, selected each year from government, business and NGOs across the 53 countries of the Commonwealth. This year’s challenge for the participants is ‘What makes a city smart?’; we talked to 10 delegates about Pocket’s role in delivering intermediate housing for London, and especially about how we bring together the public and private sectors to do so. 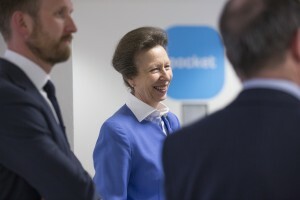 HRH Princess Anne joined us for part of the presentation, and stayed behind afterwards to hear more about Pocket’s specific projects and future plans. She was a very engaged guest with well-informed views, and it was a pleasure to introduce her to Pocket. 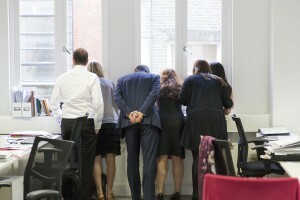 As well as feeling honoured to have been selected by CSCLeaders to participate this year, we were also pretty thrilled to have such a distinguished guest, and enjoyed watching her discrete cavalcade slip in and out of Floral St – blink and you would have missed it!